The different colored stones that adorn the sides boost the fashion and charm - creating this piece of jewelry simply good to wane any occasion. Designed thus subtly it's quite a sight to behold! 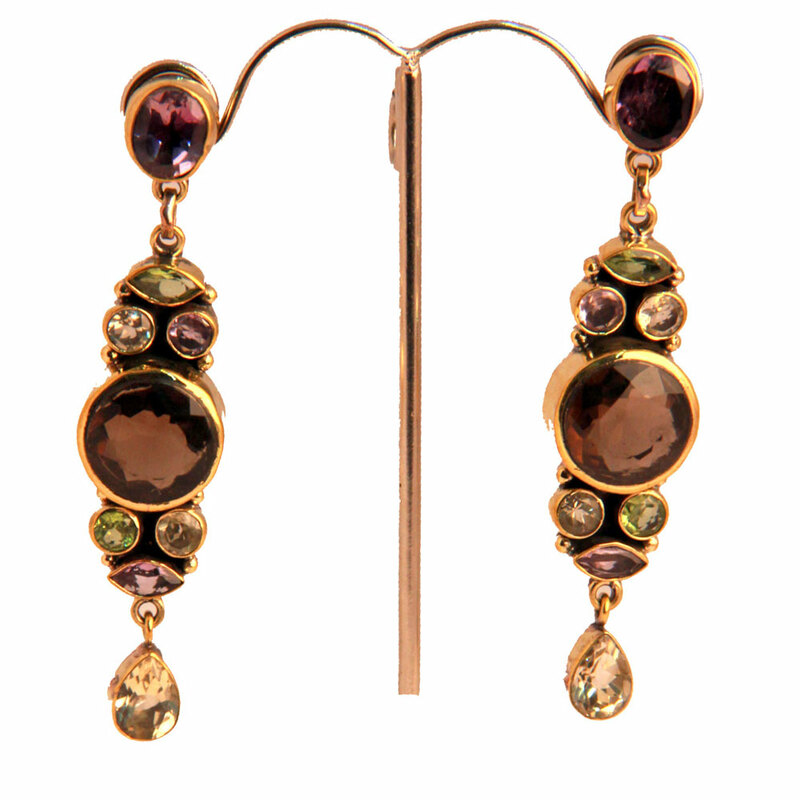 This pair of earnings made from semi-precious gem stones looks great with any outfit. The different coloured stones that adorn the edges add to the Read More..style and grace - making this piece of jewellery just perfect to wear on any occasion. Designed so subtly it is quite a sight to behold! Show Less..